A guide by Josh Judkins. Use this step-by-step guide to help you price your designs, change materials and re-order files you've made before. Note that in order to get an instant price from Ponoko, you'll need a correctly formatted design file first. Follow that link to find out our formatting requirements, as well as starter kits for different software packages. Here's what to do if you want to make, say, one design file from two materials. 1. Add your first design file. Here's the screen you'll see. 2. Click 'Add another design'. 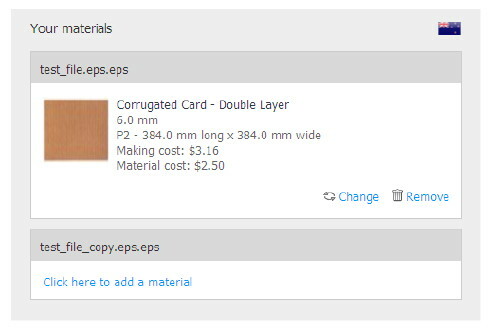 You'll see making and material costs listed as soon as you confirm the new material. Assess the costs and use the 'Change' button to try a different material type or thickness if you want to. 1. You can rename your design set. Run your mouse over the title at the top left of the screen and click on it to edit. 2. 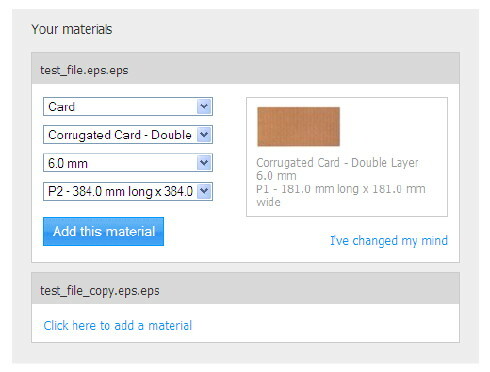 You can change the number of copies of an individual design file you want made. To do this, click 'Edit'. If you adjust the number of times individual files are to be made, you'll need to click 'Save' to confirm the change. Once you've placed an order for a design set, all its settings will be locked until it has been made and shipped. You can, however, copy a design set. (Look for the 'Copy' button next to the 'Edit' button). Use this function to adjust your original designs without affecting the ones currently in production. 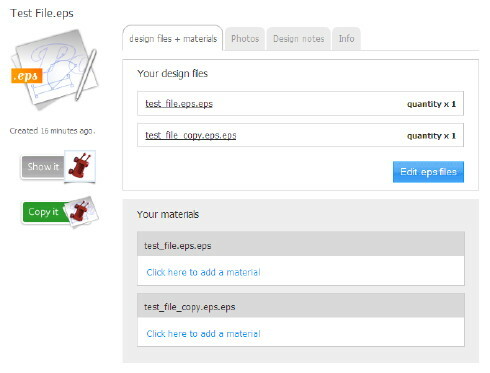 You can choose to copy the files on their own or the attached materials as well. If there are any files in your design set you don't wish to make, all you need to do is remove the materials those files. 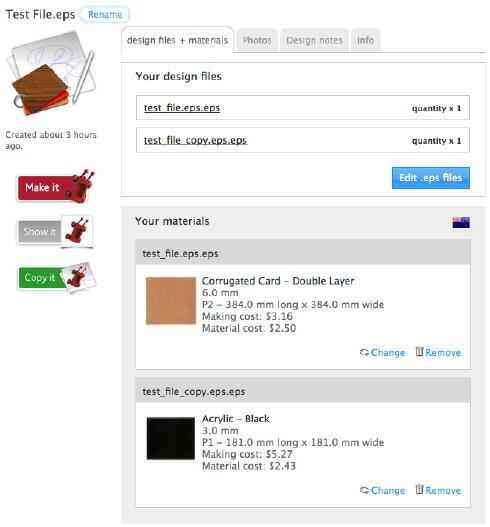 When you click to make, you'll see your order only includes files that have materials applied. This function has a range of uses. Let's say you only want to remake one of three files you originally uploaded. Just copy the set, remove the materials from the files you don't want, and click 'Make it'.